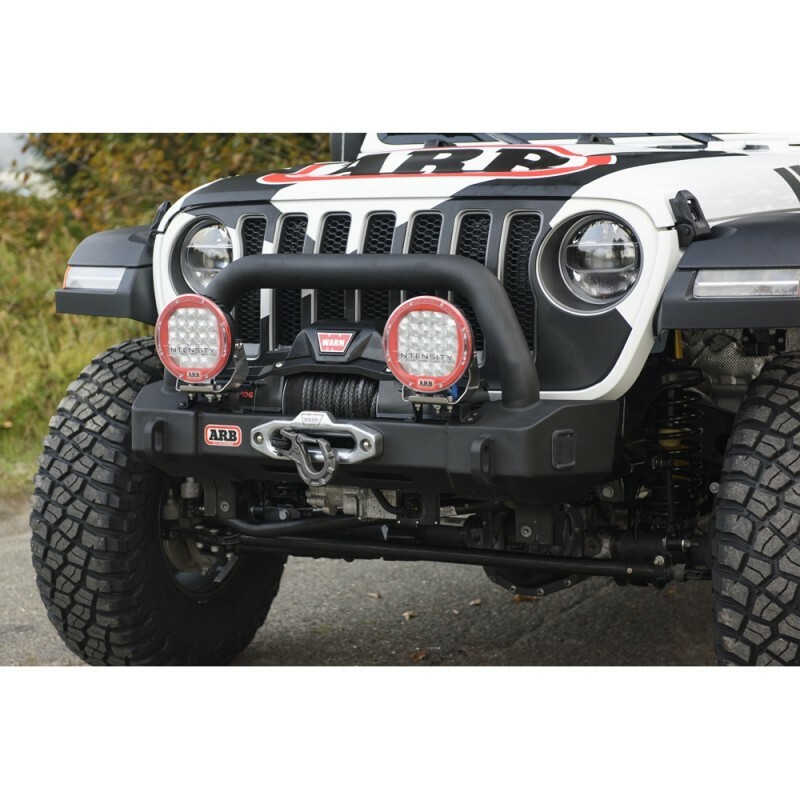 2018 2019 Jeep Wrangler JL ARB USA Classic Stubby Front Bumper. Note: Lights and Winch Not Included. - Custom Fits 2018, 2019 Jeep Wrangler JL All Models. 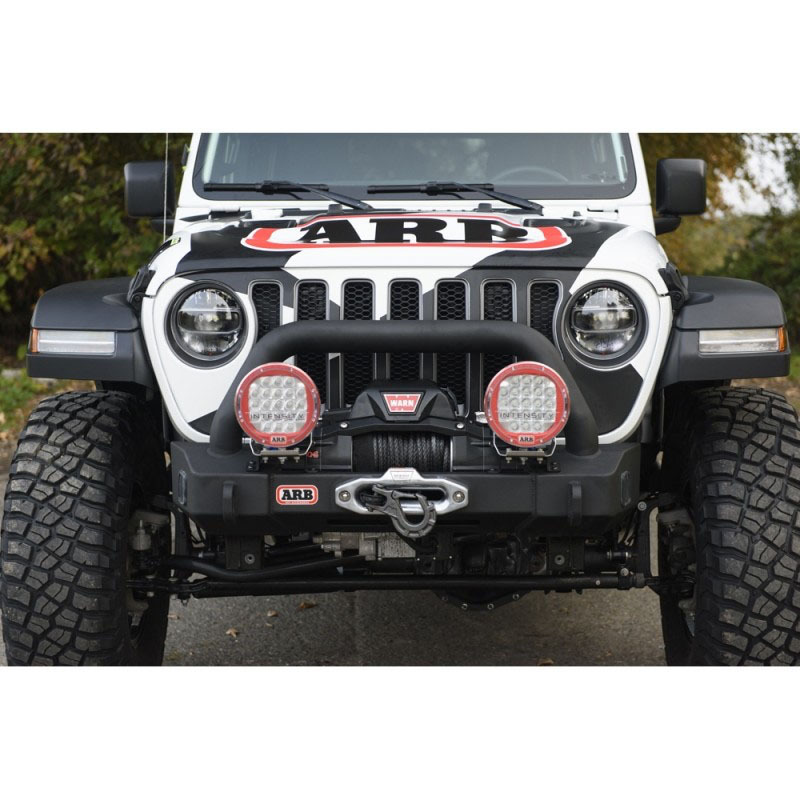 Inspired by the classic ARB Wrangler JK Stubby Bumper, the newly developed ARB Wrangler JL Stubby Bumper is designed for the off-roader who is in need of a winch mounting platform while maintaining maximum clearance for larger diameter tires. Generally vehicles that run larger than 37 inch tires may rub the wings of a traditional style ARB Deluxe Bumper. The Stubby Bumper eliminates this issue on the Jeep Wrangler JL as it is only a little wider than the vehicle’s chassis. For recovery situations each wing section features jacking points suitable for an ARB JACK or mechanical recovery jack. Antenna tabs on main tube can be used for fitment of communication antennas or driving lights to the bumper. Central on each outer wing section are 0.8in thick 350 grade recovery points which tie through the wings and into the chassis mounts directly giving the strongest possible recovery point. The winch platform will allow the mounting of most traditional low mount style Warn winches and narrow mount pattern competition type winches. A bracket is provided for those who wish to run their control box in the center of the bumper. Two front "ip up" style license plate mounts are provided. One to suit roller fairleads and one for the hawse type fairlead. These allow the number plate to be located over the fairlead and ipped up out of the way when the winch is in use. 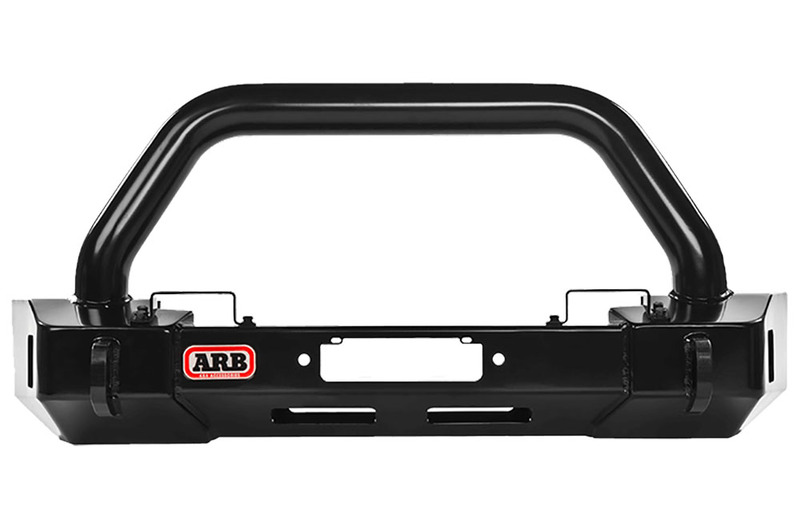 Order this 2018 2019 Jeep Wrangler JL ARB Front Bumper Today. Manufactured from 0.8in 350 grade steel, the recovery points pass through the front face of the bumper, attaching to the chassis mount for increased structural integrity. Bolt on pedestal type mounts are provided for fittment of a large range of traditional style driving lights including IPF and the latest ARB Intensity LED round lights. Both wing sections include reinforced cutouts providing suitable jacking points perfect for ARB Jack or mechanical recovery jacks. The jacking points are reinforced with 3mm steel plate to prevent distortion or damage. When the jack leg is inserted into the point, the lip of the jack foot locates past the internal reinforcing plate to prevent slippage. 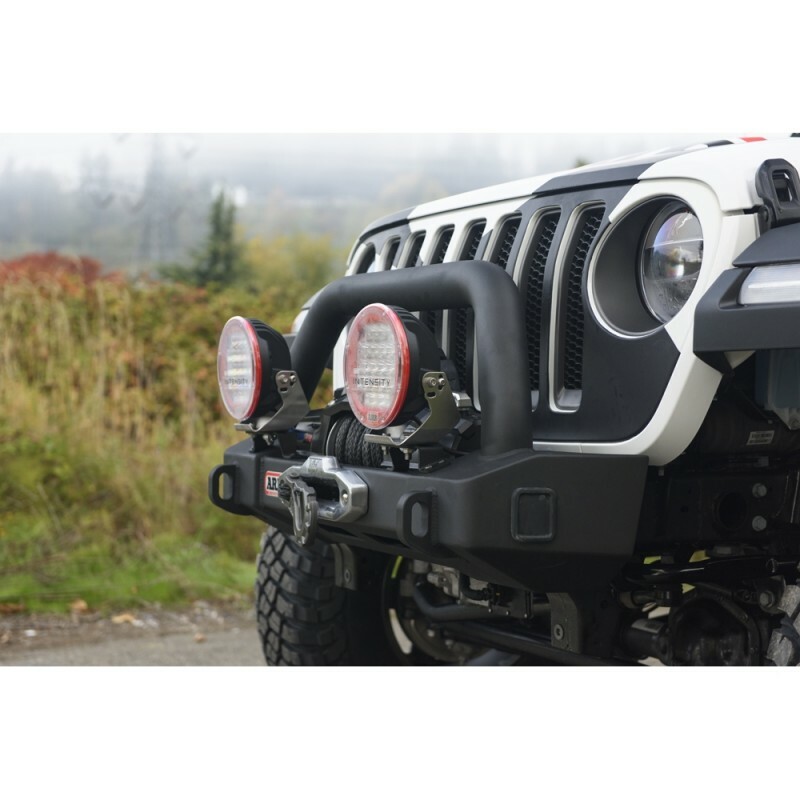 Get this high quality JL bumper today!